Will they destroy that soccer ball? And what actually happens to Presidential gifts? No joint statements were made at the meeting between President Vladimir Putin and US President Donald Trump in Helsinki. However, the event did not pass without media noise over a soccer ball presented to Trump by Putin. After all, the thing could be bugged or poisoned. 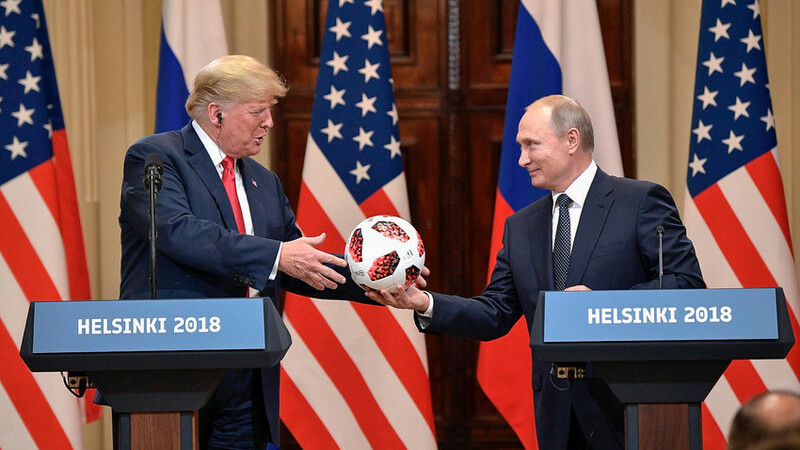 “I would like to pass the ball to the president, all the more so because the US will host the World Cup in 2026,” Putin said, as Trump was given the soccer ball used during the World Cup. The ball immediately left Trump’s hands, making its way over to First Lady Melania Trump, with plans to present it to son Barron. “I’m sure Trump’s son will be ecstatic when mommy brings him the ball, especially one with Vladimir Vladimirovich’s autograph!,” exclaimed one Twitter user. She was dead wrong about the receiving side’s sentiments, as this tweet from NBC’s Bill Neely confirmed. — Bill Neely (@BillNeelyNBC) 16 июля 2018 г. But it was Senator Lindsey Graham, who really drove the point home. The ball, it seems, was all but destined for a stealthy death at the hands of the Secret Service. If you were to assume that there are no accidental gifts in the game of politics, you’d be entirely correct. The issue of gifting is one handled by a group of at least 10 people. Such is protocol, and it isn’t too different between states. The two sides discuss the fact of the gift, and nothing beyond that, according to the former USSR head of protocol under first president Boris Yeltsin, Vladimir Shevchenko. According to him, further details are ironed out without mutual consultation. 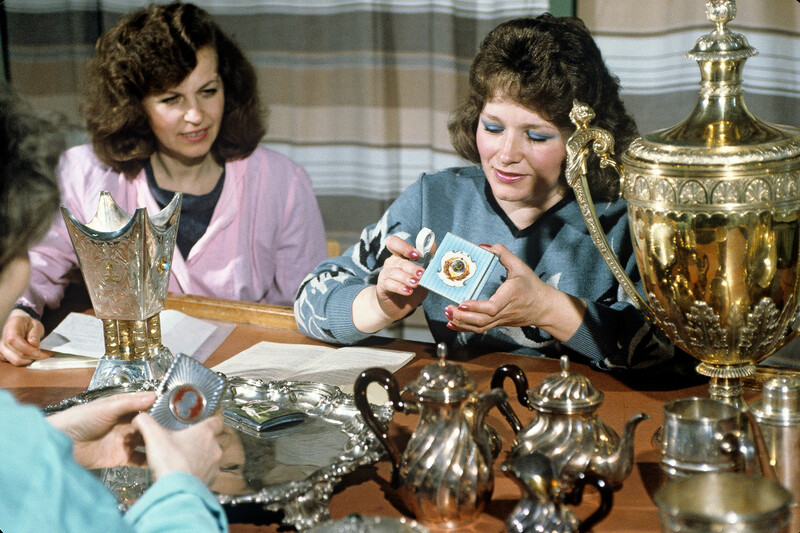 For example, in Nikita Khruschev’s time, Lenin gifts were fashionable. 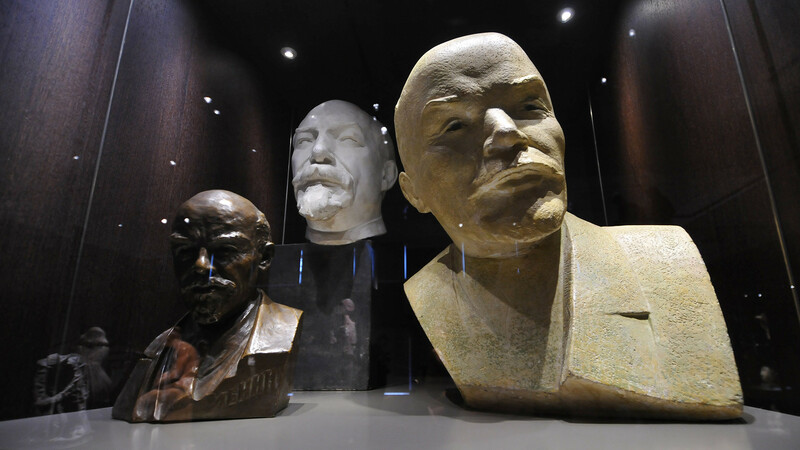 Whenever Soviet officials packed for a foreign trip or to speak at communist party conferences and whatnot, they’d pack Vladimir Ilyich – a few of him, to be precise. Some would get larger busts, others, the less executive smaller versions. There are times you look for a gift in a catalogue, or in exhibitions or antique shops. But most commonly, an RFT is submitted, and the gift would be custom-made. If it was a wristwatch, it would have to be a Russian-made one. “We have an agreement: these models are not for wide distribution,” the protocol department says, adding that the price normally cannot exceed 6,000 rubles ($96 approx.) – though this is the lower end of the scale, for junior ministers – not presidents. Diplomatic etiquette does not permit accepting things like real estate, cars or jewelry. In Mikhail Gorbachev’s time, all gifts valued at more than $500 would be transferred to the federal treasury, and a part of them would end up in the Museum of the Revolution. Nowadays, gifts are transferred to a special room next to the presidential library, in one of the Kremlin’s wings. If they are valued at more than 40,000 rubles ($640), they become the property of the state. They can be bought back, if the need arises. Meanwhile, anything cheaper can be taken by the President. 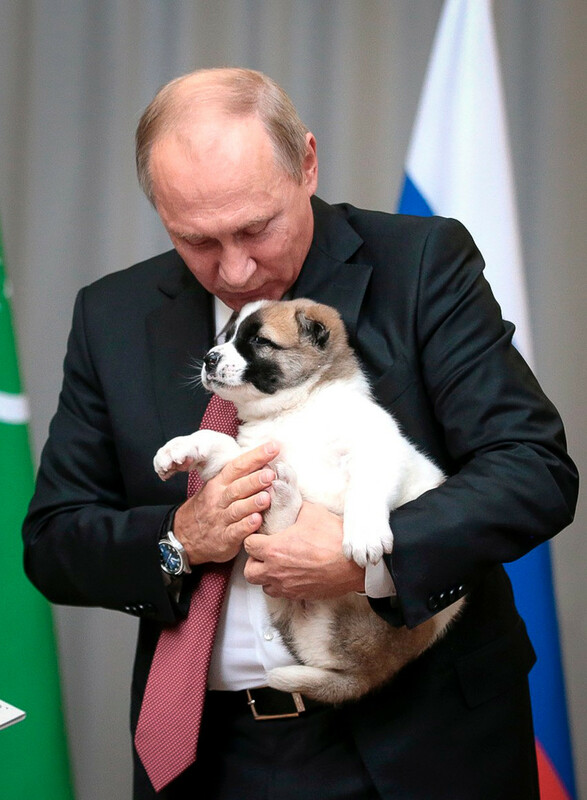 Putin, for example, kept the animals, an icon from the Patriarch (Archbishop), an Easter egg, a handmade image of the Virgin Mary from a woman in Latvia, a pair of mittens from a babushka in Cheboksary, and finally, a perfume collection from the Russian rock band, Lyube. However, everything that eventually ends up with the president or in the Kremlin must also pass stringent checks, usually with tens of people involved. The gift is first filed by the protocol department, then looked over by the Federal Protective Service (FSO; an extremely secretive agency). There’s a classical story dealing with precisely such a situation. In the 1940s a Soviet bug was installed in an American wooden plaque, gifted to US diplomats. It spent eight years just hanging in their Moscow embassy. The bug didn’t show any signs of life or send any transmissions – all of which could have easily been picked up by a scanner. It was a passive device. The power block and wave-generating transmitter were both stationed in the building just next door from the Americans. This leads us to wonder what exactly Trump’s people might have thought when they were given the soccer ball by the Russians. Sablino caves: Do you dare enter Russia's Bermuda Triangle?